I came across some Water pipits (Anthus spinoletta spinoletta) on Serra de Capelada, a mountain near the coast in the north of Galicia, near Cape Ortegal, the second most northerly point in Spain. The mountain rises up to 620 metres before falling steeply into the sea. 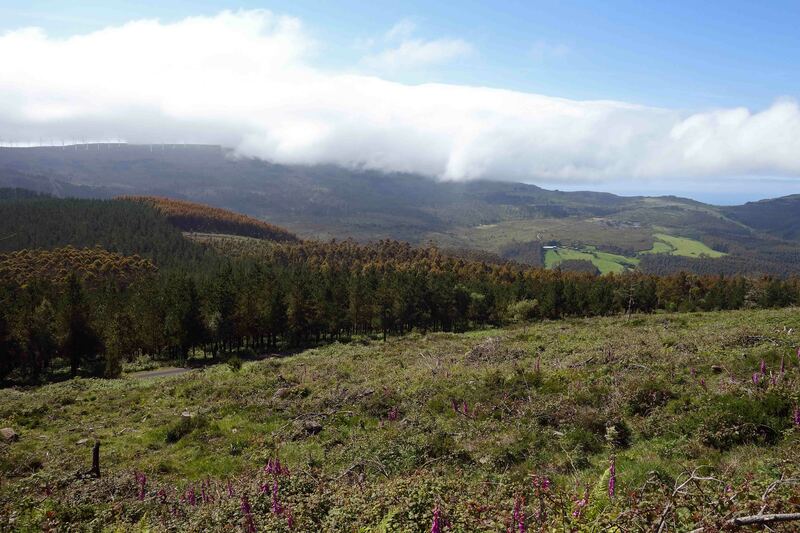 The birds were nesting on pasture grazed by cows and horses, below the high point at an altitude of about 550-600m a.s.l. The site is covered by cloud in the following photograph. 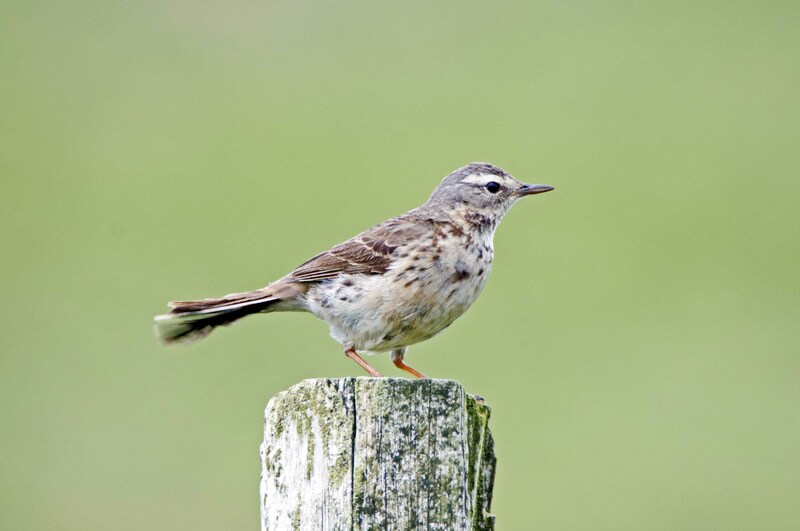 This location is relatively low for Water pipits, who are typically a species of high mountain pastures. Most nest very high up, between 1,400 – 2,600m a.s.l., or even higher in the Pyrenees (1). There are said to be between 16,000 to 32,000 pairs of these birds in Spain, and about 2,000 to 3,000 in Portugal (1). So, not a very common species. I managed to get some shots of the birds from the car, as they perched on fence posts running along beside the road, although they were still quite flighty. It was a new species for me. The ash-grey head and nape is clear in this shot (below) of one looking down. They are strange creatures, in that some of them move north for winter! But places like England and Wales are still presumably warmer in winter than high up a mountain in northern Spain. In one location in north Wales, they were observed to favour watercress beds! In other places they were found on sewage farms. (2) They feed on insects and snails which presumably can be obtained throughout the winter in places like this. 2. 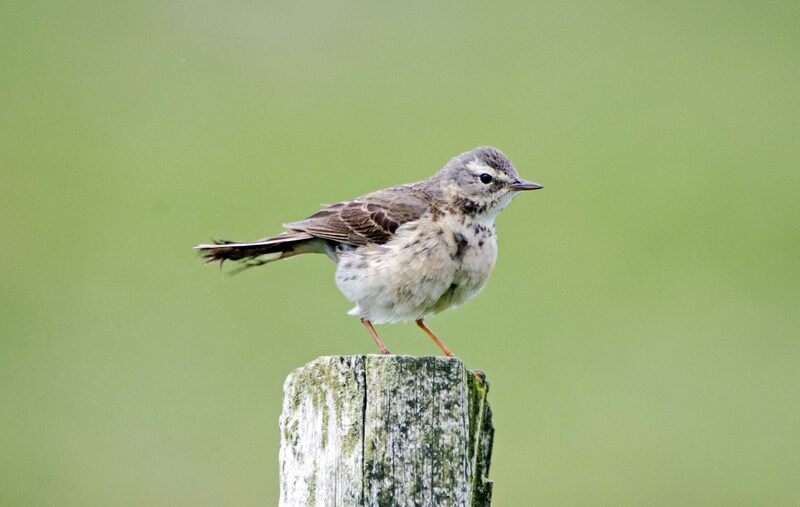 Johnson, I. G. “The Water Pipit as a winter visitor to the British Isles.” Bird Study 17.4 (1970): 297-319. 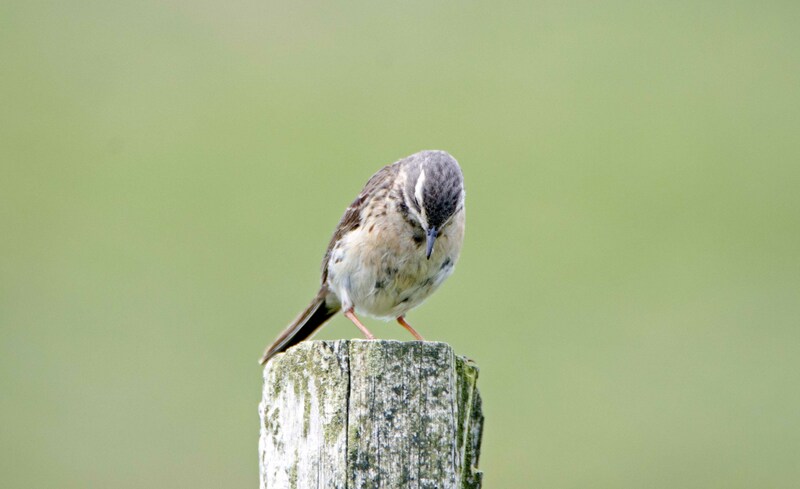 Ray Cannon's nature notes Water pipits like watercress!